In India, more is less. I love this menu. I think it is a great case study on how to pair fonts together. It seems like the designer sent out different “style options” to the client and the client said I want them ALL, in the same menu. 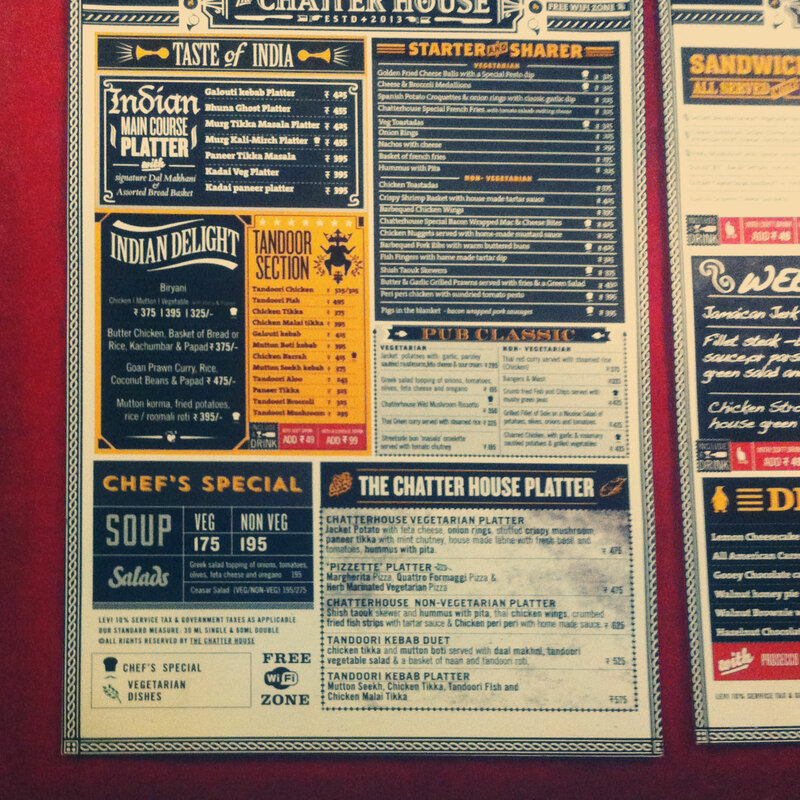 Browsing past menus around on last Sunday, I really wanted to eat something at this place. After staring for a good 6 minutes at this, I got confused and irritated. I felt there was no hierarchy in this layout; if any one even knows what that is any more. There is absolutely no white space. It is like a punjabi bride on wedding day, adorned with little trinkets in every possible corner. It seems to me the sole purpose of this piece of design is to look extremely hipster. It succeeds at that. 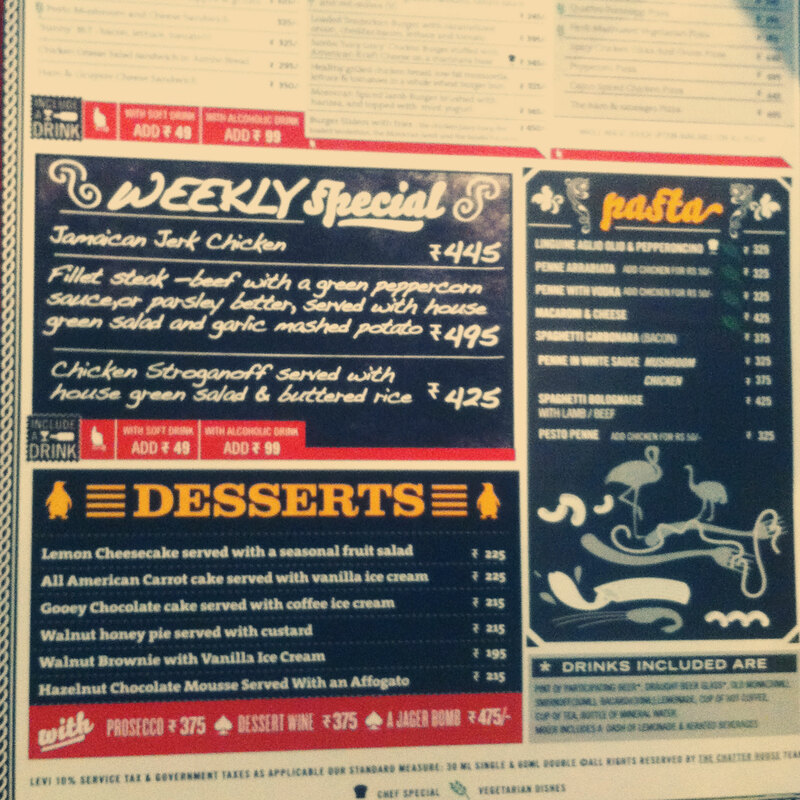 This is without comparing this menu to any of the American bistros out there. The restaurant seems to be doing alright. Here are a few fonts that have been used in this piece.